So you are a disgruntled Kindle owner, switching to iPad for all your e-book needs? The iPad can replace your Amazon Kindle, but it is not designed to be just an e-book reader. 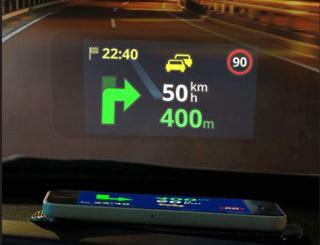 You are going to need to install a few apps on your device in order to get the best out of it. 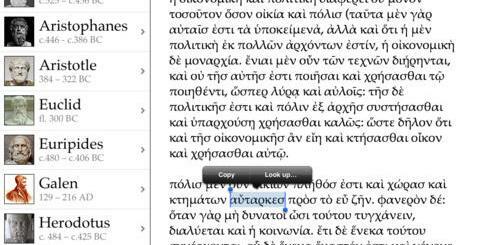 The iPad does support a few popular e-book formats, but there are always e-books that will need additional software for you to read them on your iPad. 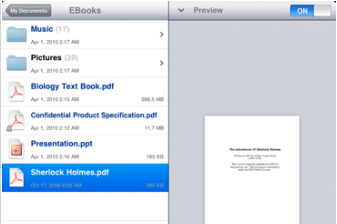 ReaddleDocs for iPad: a super useful app for iPad that makes it easy to read those large PDF files on your iPad. It also helps you transfer all your e-books to your iPad fast. Kindle for iPad: what more can be said? Whether you are a Kindle owner making the switch to iPad or just want to buy book from Kindle store, this free app is a must have. 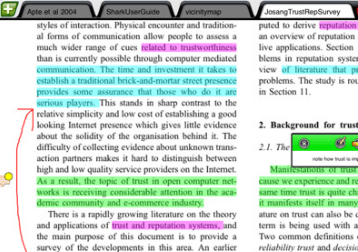 iAnnotate PDF: a super PDF reader for iPad that not only opens your PDF files but lets you annotate them as well. Great tool for those who like to take notes when reading books. 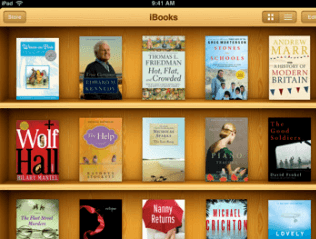 iBooks: Apple’s official e-book app for iPad. 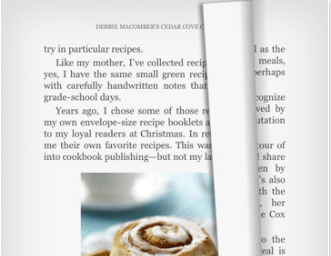 The app allows you to access Apple’s e-books and read your ePub books on your iPad. It’s free too. 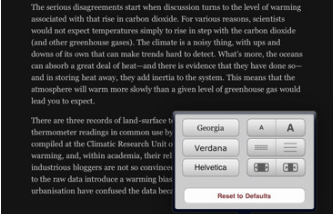 Good Reader for iPad: Good Reader for iPad is a wonderful PDF reader for iPad that handles the largest PDF files easily on your device. 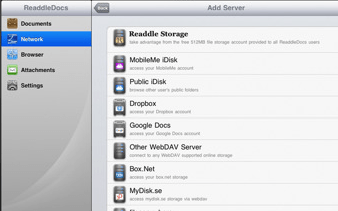 Can transfer your files to your iPad as well. 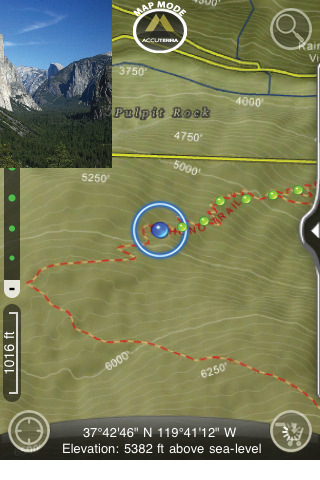 X Djvu for iPhone and iPad: I am not a big fan of Djvu files, but some reports and books are released in that format. 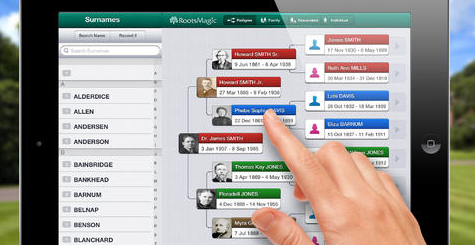 This app can open those documents on your iPad. Supports pdf, doc, xls, and txt documents as well. Instapaper Pro for iPad: not an e-book reader per se, but it can save web pages and blog posts for offline use. Works with magazines and all kinds of sites. 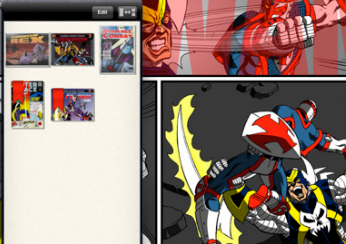 Comic Zeal Comic Reader: if you are into reading comic books on your iPad, this app is a must have. Your Kindle is certainly not capable of doing that. Please feel free to add your favorite e-book reader apps for iPad below.